Transport Planning sells, leases, modifies and customizes certified and inspected new and used freight containers, cargo containers, shipping containers, and storage containers to all areas of Maryland and DelMarVa! We service all areas of Maryland from our location in Southern New Jersey outside of the Philadelphia, PA port with containers on location in Baltimore, MD, Philadelphia, PA, and Norfolk, VA.
We offer all types of ISO shipping containers, IP1-IP2 containers, milvans and connex containers such as dry van, open top containers, flat racks, ocean freight containers, high cubes, refrigerated containers and chassis. 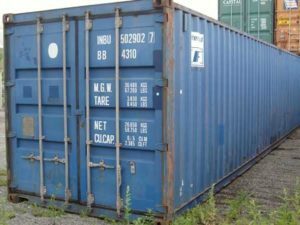 We have a wide range of storage containers in standard ISO container lengths of 10 ft , 20 ft , 40 ft, and 45 ft. We can also modify to various non ISO sizes on demand. 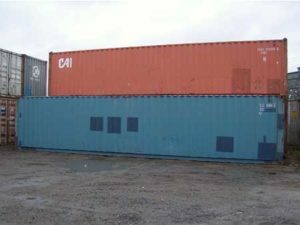 We sell quality new and used shipping containers for all of your storage or shipping requirements. We also specialize in modified and customized storage containers to meet your specified requirements. All modified containers are inspected and certified prior to delivery or pickup. Through our large network of carriers, Transport Planning has the capability to deliver all types of ISO shipping and storage containers. Copyright © 2019, Transport Containers. All Rights Reserved.